How doing nothing allows you to receive EVERYTHING. We all live with self-imposed limitations. We are limitless in our abilities, our capabilities. Yet, the only thing that prevents us from performing the seemingly miraculous is the lack of pure inspiration that we can do literally anything. It’s inspiration that cancels our limitations and allows us to live our lives at the highest level possible. Imagine what your life would be like if inspiration was your all-the-time way of living. Imagine that in any moment — every moment — you could receive pure, direct, unfiltered information from God/Source/the Divine on the best action to take, the absolute right thing to do, the most beneficial choice to make. I'll tell you what it would be like: It would change your entire life in ways you cannot possibly anticipate right now. I know this, because after 30+ years of study and practice, this is the point I've finally gotten to. What I was experiencing in those glimpses and flashes was a direct connection to and communication with the Divine. In those moments, I was tapped into the vein of pure inspiration! Today, I LIVE in inspiration. And it is amazing. Even with all I understood about the Law of Attraction and the Law of Creation, even with the incredible abundance I had experienced through correct interaction with these laws, once I discovered how to directly access inspiration, things began happening for me that I'd never in a million years anticipated. Things that are wonderful beyond any "plan" I could have created within the limitations of my own mind and ego. I want YOU to live here, too. And the good news is, it won't take three decades of hard work for you to get there. In fact, you're going to go backwards. All the way to ZERO. What enabled me to arrive at the place or magic and miracles I dwell in today is a force known as the Law of Zero. Why "zero"? Because that's where you have to be to experience this. Totally clear. Totally blank. A 100% clean slate. Now, I've talked about clarity before. Teaching people to get clear has been a huge part of my work up until now. But living at zero requires clarity on a radically different level. It isn't just about clearing your limiting beliefs to attract what you truly want. That's a profoundly powerful step. But it's only the first one. It isn't just about shifting your paradigm to facilitate the flow of abundance. As extraordinary as that is, you're still restrained by limitations. I started dissecting those moments when I was connected to inspiration. And I realized that what I was doing in a haphazard way was letting go of everything. Ideas that I thought had been serving me for years — and in many ways, had been — but were also holding me back from something bigger, better, more magnificent. Once I understood that, I was able to move into a deliberate, continuous state of what I call "Zero Point" living. Now you can, too. 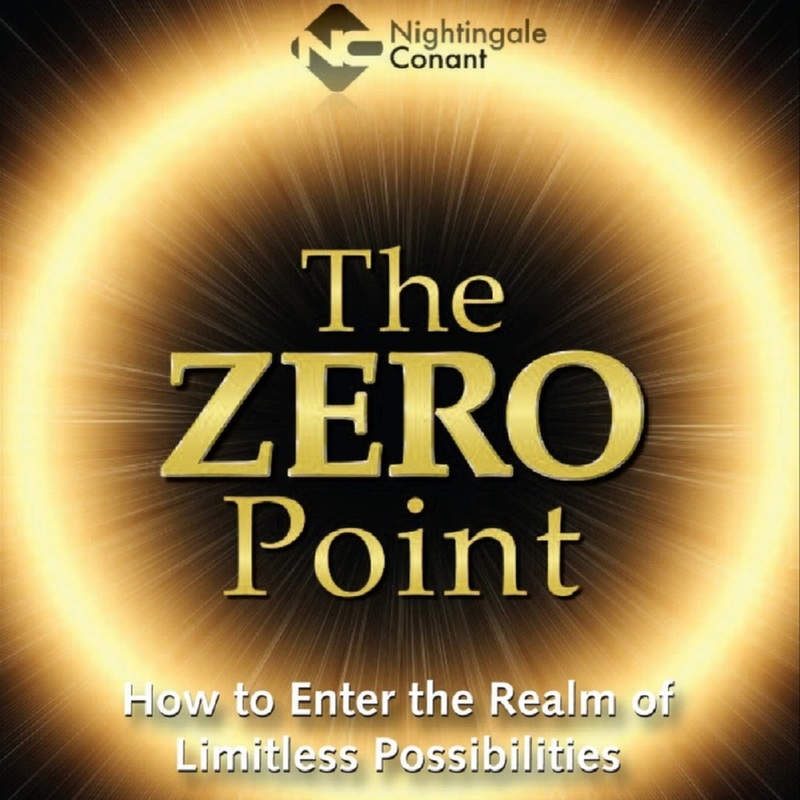 Because I've compiled all of the advanced, master-level clearing methods that got me here, and the step-by-step instructions for applying them in YOUR life, in my program, The Zero Point: How to Enter the Realm of Limitless Possibilities. The secret to getting an even BETTER version of what you want. It has to do with how you make the request. One way (the usual one) limits you. The other shatters your limits. The line between the two is pretty fine. But I'll tell you how to set intentions that get results beyond your wildest dreams. The little-known level of consciousness you need to be clearing at. Few people do, because few people even know if its existence. But it's here that the real breakthrough to Zero happens. Bonus: When you clear at this level, it isn't just you who benefits; it's the whole of humanity! The "tell" that lets you know you're in the flow of pure inspiration. When you feel this, you're there! And don't worry about missing it — it's unmistakable. The REAL source of every problem. Understand THIS, and you'll never get stuck again. In fact, you'll have more power than you've ever had before. How to receive messages from Source even when you CAN'T. The times you need to get to Zero the most — in moments of fear, grief, real pain — can also be the hardest times to get there. You can, though. I'll give you techniques to clear away even the heaviest blocks. The incredible clearing tool right in your own KITCHEN. In fact, you can transform all kinds of ordinary objects into extraordinary conveyors of the universe's magic. As long as it has ONE thing, it will work. What you should do the next time someone is critical, skeptical, or negative. It will shock them, calm you, and instantly transform the situation. How to put your clearing on autopilot (even while you sleep!) The ideal place to be is one in which you are clearing and cleaning everything, all the time, automatically. Here's how to do it. Putting actions in context. Taking action is great – critical, even — but only if you remove this from the equation. It's not easy, but the results are SO worth it. PLUS: Specific techniques to receive inspiration on your relationships, career, business, health, and MORE! All that you’ve done before has brought you here. Now it’s time to go FURTHER. I'm not a beginner on this journey. Neither are you. Everything that you have learned up until now is what's brought you to this point of awareness, understanding, and readiness. Now you're ready. To shed the last vestiges of your limits. To let go even of the ideas and beliefs that seem to be inherently, inarguably "good" for you and your life. Yes, it takes a leap of faith. A bigger one than I'd ever taken, a bigger one than I've ever asked you to take. But when you do it — when you get yourself to that Zero Point where everything's clear, everything's clean, and all your inherited and self-imposed limits and expectations are gone — what rushes in to fill that space is so magnificent, so indescribably amazing, you will never be the same again. It's hard for me to imagine what could lie beyond The Zero Point. I mean, this is actual communing with the Divine. In terms of awakening and enlightenment, this is IT! I do know myself, though. If there is another place to go, I'll find it — and I can promise you'll be the first to know. But today, NOW, I know of no more amazing place you could be. I'm here. It's incredible. Please come and join me – in nothingness, in everything, at ZERO. P.S. I'm thrilled about every single minute of The Zero Point program. But I especially love the bonus audio. When you're sleeping or in a state of deep relaxation, your mind is so much more receptive to the power of these techniques. It's really going to help you get to that level of "autopilot clearing" I mentioned above. Order The Zero Point and all the rest of these limit-shattering, life-changing techniques — for yourself! How to Enter the Realm of Limitless Possibilities. I want to reach the Zero Point and receive everything. Please send me Joe Vitale's audio program The Zero Point, at the special price below. - I can select one of two ways of ordering. One of the most popular Nightingale-Conant authors of all time, Joe Vitale is the creator of the bestselling audio programs The Missing Secret, The Secret to Attracting Money, and The Abundance Paradigm. Joe was also a featured contributor to the hit movie and bestselling book, The Secret, and is considered one of today's foremost authorities on manifestation, attraction, and abundance. 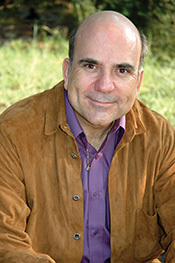 Joe Vitale has personally coached thousands of people to profound spiritual breakthroughs and massive material success, helped facilitate hundreds of thousands more transformations through his world-renowned seminars, and directly impacted millions of lives for the better through his audio programs, books, and movie, television and radio appearances. His mission in life is both simple and profound: To help YOU live the life of your dreams.